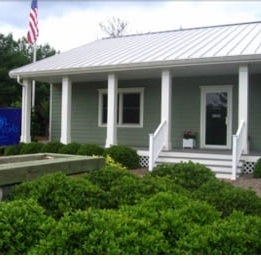 SpirtWorks Foundation operates Recovery Community Centers in Williamsburg and Warrenton, peer-operated centers that provide community-based recovery support. Individuals and families do not live at the centers, but rather can access resources to help build recovery capital through advocacy training, recovery information and resource mobilization, mutual-help or peer-support organization meetings (e.g. 12-step groups, Celebrate Recovery), social activities, and other community-based services. We believe recovery to be a self-defined process with many possible pathways to achieving the improved quality of life and well-being that comes with recovery. We’re dedicated to helping individuals and families navigate those pathways and overcome obstacles they encounter on their journey to recovery. Through positive self-care, individuals can discover purpose and meaning, take into account their unique life story and major life themes, tasks, and lessons thereby allowing the individual to continue in personal transformation, to increase recovery capital, to gain a more conscious understanding of life, and to develop a sense of harmony and balance. The Center for Spiritual Recovery is for those who want God to be part of their recovery. The Center offers retreats as well as individual and group guidance and direction for those seeking to deepen their commitment to spiritual renewal and spiritual recovery. Recovery Coaching fills a great need for people in the recovery process. Recovery Coaching affirms the innate health and wellness in each of its clients. Recovery coaches use a strength-based approach so that clients find and utilize their strengths while being coached to success. Recovery Coaching addresses the specific life needs of people with substance use disorder and other addictive behaviors. The Family Programs are focused on helping parents and family members who are dealing with addiction in the home. Whether it’s a parent, sibling, partner or child, these various programs offer support and education for a families effected by substance abuse. Youth Programs offer a variety of activities geared towards adolescents who are effected by substance abuse. Whether growing up in families with, or at risk, for alcoholism or other drug addictions, or facing addiction themselves, the youth program provides a safe, nurturing and supportive environment, where adolescents can develop resilience against addiction. This is a monthly support group which provides education and training for community leaders who are supporting individuals with addiction and mental illness. We provide Motivational Interview training, Stages of Change training, and more. See calendar for details. We have other programs that offer various activities whose main focus is to provide an outlet for those in recovery. Most of these activities will teach participants useful skills that can be used in their recovery journey.